The lighter’s slim body is textured on the outside for a more secure grip, while its three jet-flames are set in a row with the two outermost jets angled inward. When ignited, the flames come together to form a triangular flame. 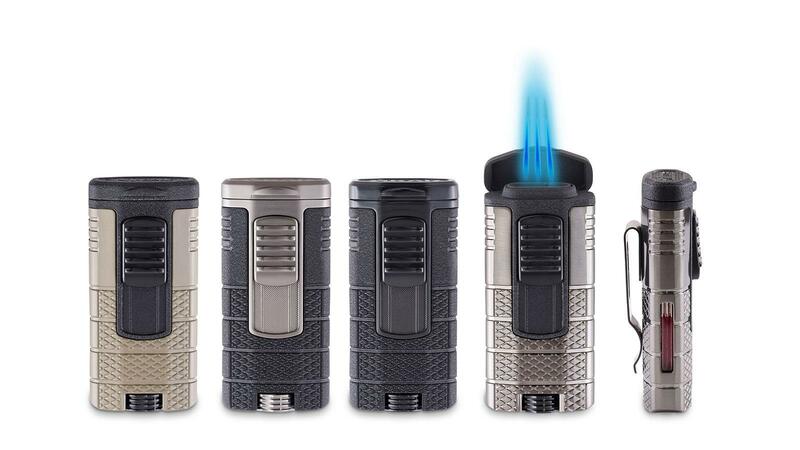 The Tactical lighter also sports a pocket clip for more secure portability, a red-tinted fuel window as well as an oversized fuel-adjustment wheel for easy flame control. Tactical, which will retail for $99.99 and shipping to stores now, comes in four finishes: black lacquer, black lacquer and gunmetal, FDE tan and black lacquer, and gunmetal and black lacquer.